American International Group Inc (NYSE:AIG) former chairman and CEO Maurice Greenberg had sued the federal government for taking equity in the company without fair compensation. The federal government had come to the rescue of the insurance company in 2008 when the company was going through difficult economic times, occasioned by the economic downturn experienced worldwide that same year. In a testimony by the then treasury secretary Henry Paulson, the loan terms were simply punishment for the shareholders for letting the company’s balance sheet get that bad, and to avoid moral hazard where companies would go into risky business, knowing that the government would bail them out in better terms than the private sector. The terms meant that the government took 80% of stake at the company. Timothy Geithner, who took over as the treasury secretary after Paulson, is also expected to testify this week. According to the lawsuit, the former American International Group Inc (NYSE:AIG) has alleged that the government unfairly took control of the company, causing damages totaling $40 billion to the shareholders. Paulson’s testimony was quite short and didn’t include any shockers. He was excused earlier than expected because he answered questions fast and clearly. American International Group Inc (NYSE:AIG) cleared the loan in 2012, giving the government a clean bill of $23 billion on top of the government’s investment. The loan, which was initially agreed to be $85 billion, was raised to $184.6 billion. This gave the government a stake of 92% of AIG. 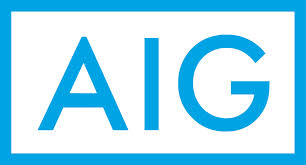 Mr. Paulson admitted that indeed American International Group Inc (NYSE:AIG) got harsher terms than several other companies, but he argued that the decisions were based on circumstances. He cited market and political dictates, saying that both had to be appeased to save the company. Lack of political support would mean lack of public support, and lack of the investment would see the company collapse.